Add Carl Stahl’s unique X-LED puck to the intersections of the SkyDeck™ cable grid and your grid becomes its own light show. 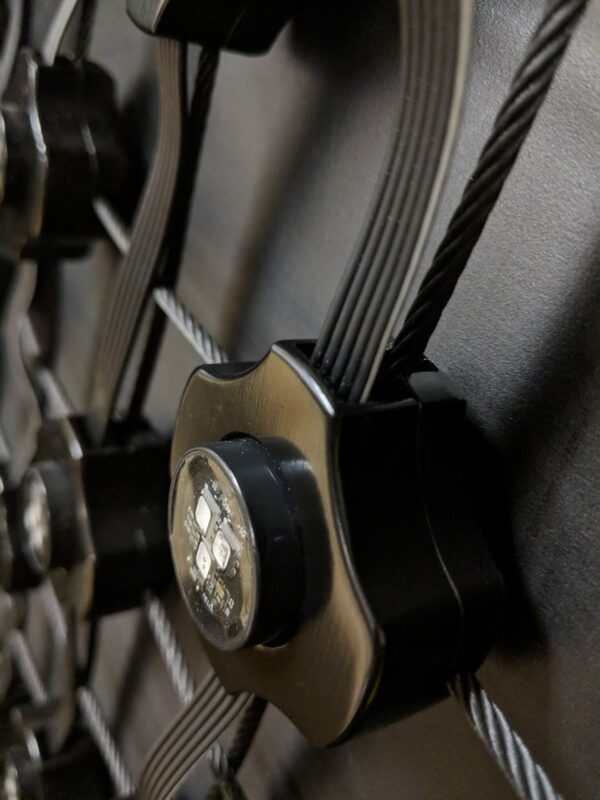 From displaying images as if it were a TV to custom lighting effects, each puck is capable of being individually controlled, resulting in an amazing and captivating experience for your audience. Transform arenas, concerts, and sporting events into an immersive and unforgettable experience. For dark rides, add effects that will leave guests breathless. For the stage, take technical effects to the next level for a new-age performance. Even auditorium house lighting takes on a new form with greater flexibility.